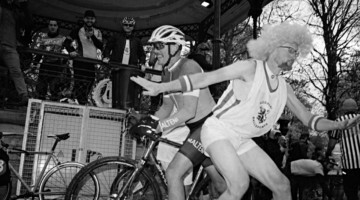 Cycling is a sport where things are always in flux. Races come and go, teams change sponsors, riders move around. The same is true of cyclocross in the U.S. However, during the past decade-plus of American cyclocross, two things have remained constant. One is Katie Compton in the Stars-and-Stripes. 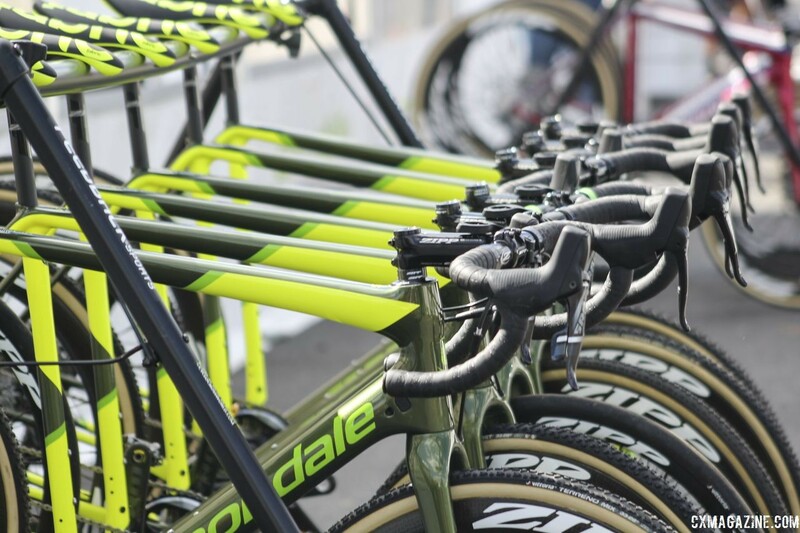 The other is the can’t-miss green kits of the Cannondale p/b CyclocrossWorld team. Officially started in 2006, the Cannondale p/b CyclocrossWorld team is the longest-running, most successful U.S. cyclocross team. Not surprisingly, the team’s roster has included a who’s who of U.S. racers. 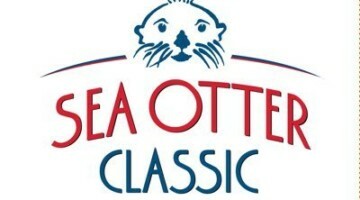 Tim Johnson, Jeremy Powers, Lyne Bassette, Ryan Trebon, Kaitie Keough, Ben Jacques-Maynes, Stephen Hyde, Jamey Driscoll, Maghalie Rochette, Emma White, the list of elite athletes who have come through the program goes on. Stu Thorne started the program in the mid-2000s and continues to run it today. The team has had good relationships with key sponsors for that entire period. I wanted to know how the team managed to succeed and grow in a cyclocross landscape where teams come and go every year? Is there a secret formula to its longevity? 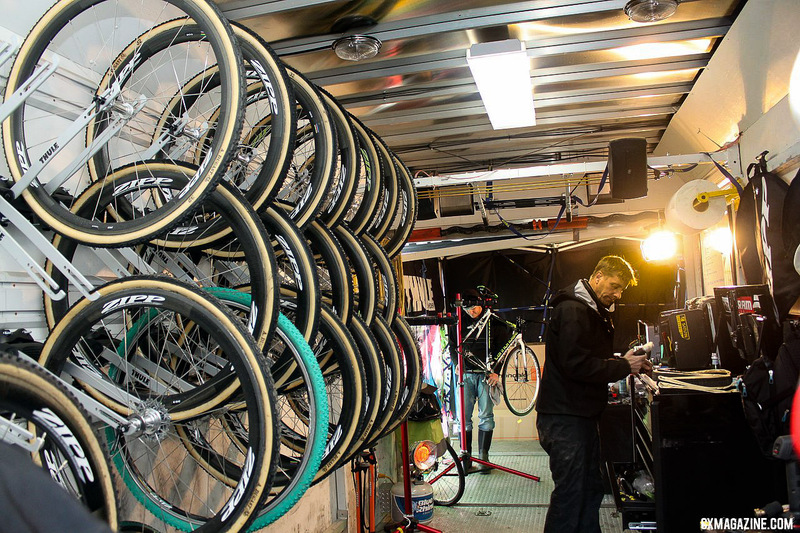 I headed inside the green tent for a look at the Cannondale p/b CyclocrossWorld program. With any team, there is a reluctance to give credit to any individual for its success. However, with the Cannondale p/b CyclocrossWorld program, it is impossible not to start with team owner and manager Stu Thorne. 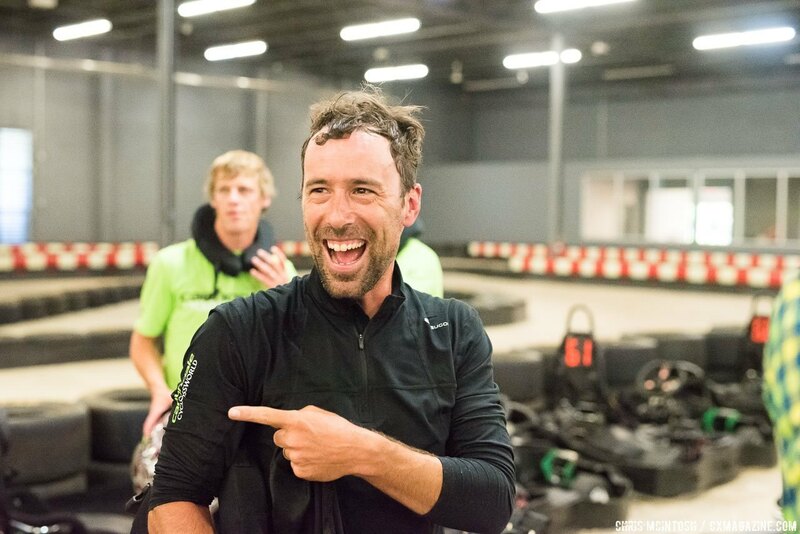 Stu Thorne grew up in Massachusetts and in his twenties was a relatively successful mountain biker. 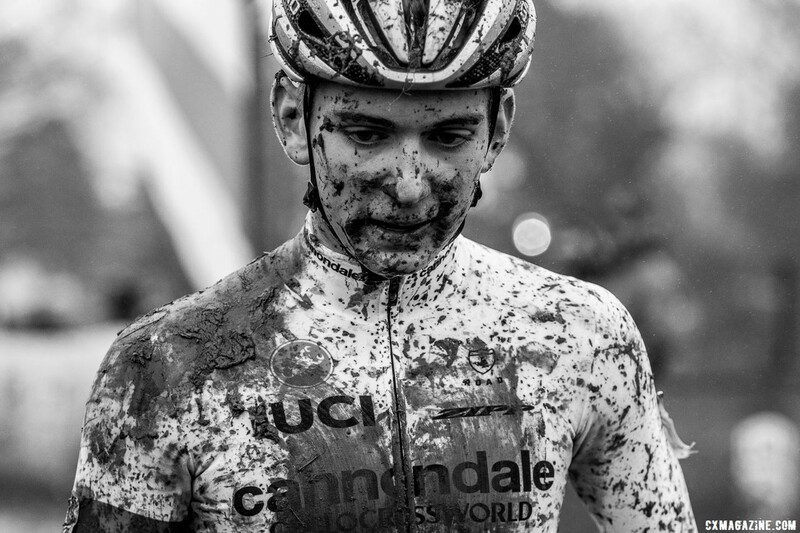 The story of how he discovered cyclocross is likely one you have heard before. Another key part of the program’s history is one of Thorne’s fellow New Englanders. 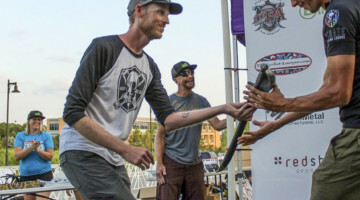 Thorne has sponsored Tim Johnson’s racing career since the late 1990s, and the U.S. cyclocross legend continues to stay involved with the program in retirement. Johnson and Thorne go way back to their younger days racing mountain bikes in New England. As it turns out, Tim Johnson, three-time U.S. cyclocross national champion and Worlds silver medalist might not have happened without Thorne. 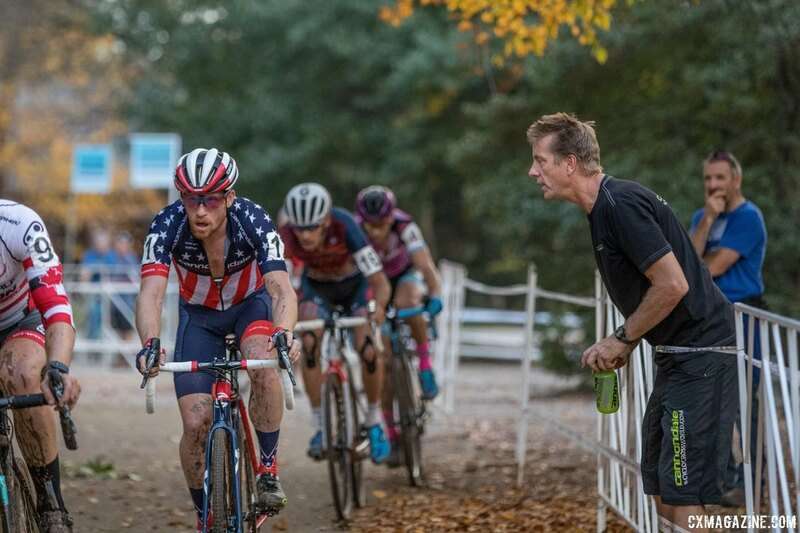 And as we also learned in our interview with new USAC Cyclocross Manager Jesse Anthony, he also would not have started racing ’cross if Johnson had not been successful. At the time he introduced Johnson to cyclocross, Thorne was running a bike shop in Massachusetts. He quickly realized that being a talented racer was better left to his new friend. “I realized I wasn’t going to be a professional like these guys and doing Masters racing wasn’t really my thing,” he said. 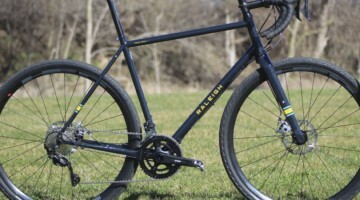 Thorne’s thing at that time proved to be cyclocross, and as the 1990s came to a close, he took his passion for cyclocross into the business world. In the late 1990s, finding cyclocross equipment was a bit challenging. 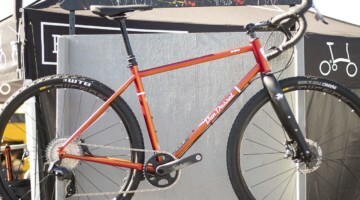 The sport was even more niche than it is now and the idea of most bike companies including a specific cyclocross line was well in the future. 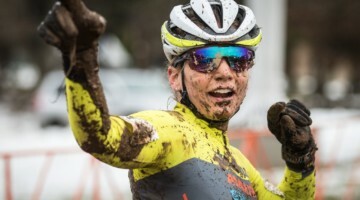 Knowing the challenges but sensing an opportunity, Thorne launched cyclocrossworld.com, an online store for all things cyclocross. One of the biggest challenges he faced in the early days was getting word out about his online store. 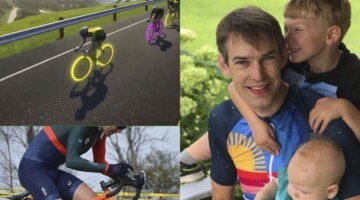 The internet was not what it is today with targeted ads and social media platforms—and even a publication dedicated to cyclocross—so he needed to find a way to reach the folks likely to buy his ’cross-specific products. In 2006 the small team of New Englanders locked in two sponsorships that have helped it grow into what it is today. 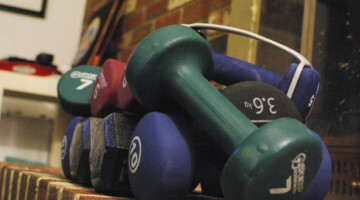 Even though the team became “official,” the intent of the program did not change from the earliest days with just a few riders. “So much of what we built with the team was based on the original idea that we were going to be a part of the sport and we wanted to go to events both here in the states and in Europe,” Johnson said. 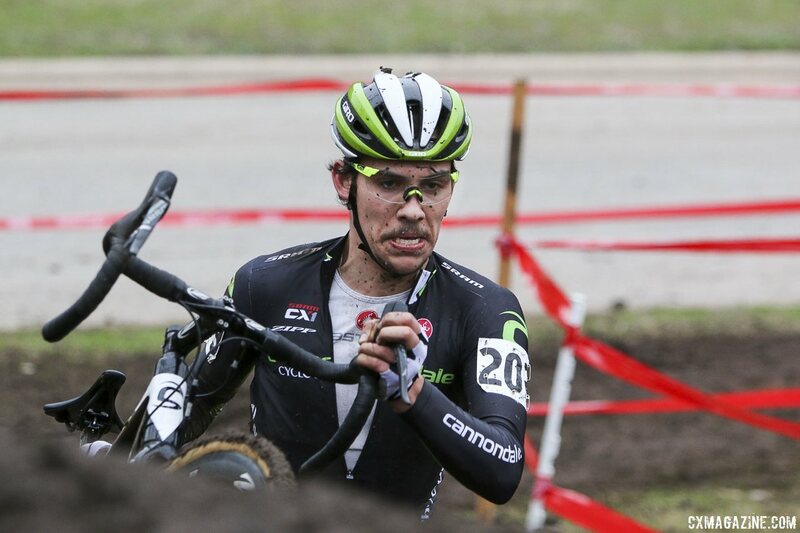 Although the Cannondale p/b CyclocrossWorld team is now the largest single-team presence at North American cyclocross races, Thorne did not try to build a juggernaut right away. Thorne has managed the team’s growth in a careful fashion, making sure the resources are available to effectively support his riders and staff. The current roster now sports four Elite riders—Kaitie Keough, Stephen Hyde, Curtis White and Spencer Petrov—and seven Development team riders—Lizzy Gunsalus, Alex Morton, Magnus Sheffield, Sam Noel, Cooper Willsey, Lane Maher and Harrison White. 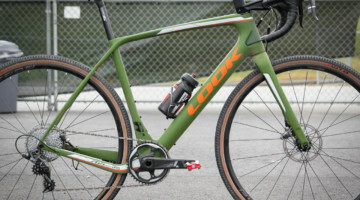 Team employees during cyclocross season are Mike Berry, mechanic and manager of the Devo program, Gary Wolff, mechanic for Keough and Hyde, and Rawny Semba, driver and mechanic for White and Petrov. The team will also staff up during big race weekends and to support athletes in Europe. The amount of work Thorne and his team do behind the scenes is not lost on the riders in the program. One notable thing about riders and staff in the Cannondale p/b CyclocrossWorld is they tend to stick around. No doubt one reason for the riders stay with the program is the support it can offer their cyclocross careers. Johnson’s continued involvement with the team is a sign of the strong bonds between Thorne, the riders and the team. He has been working with Thorne since the 1990s and continues to stay involved with the team where possible. On race weekends when Johnson is in town, you can bet he will make an appearance inside the green team tent. The current pro team roster also demonstrates the stability and longevity Thorne hopes to see for his program. Kaitie Keough first signed with the team in 2010 was she was just 18 years old. 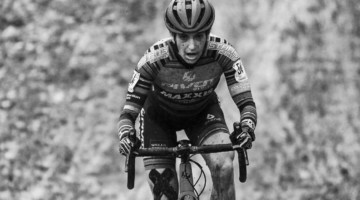 She has grown as an athlete with the program, and in 2017/18 had her most successful season as a cyclocross racer, finishing second in the World Cup overall. Curtis White also signed with the team when he was 18. 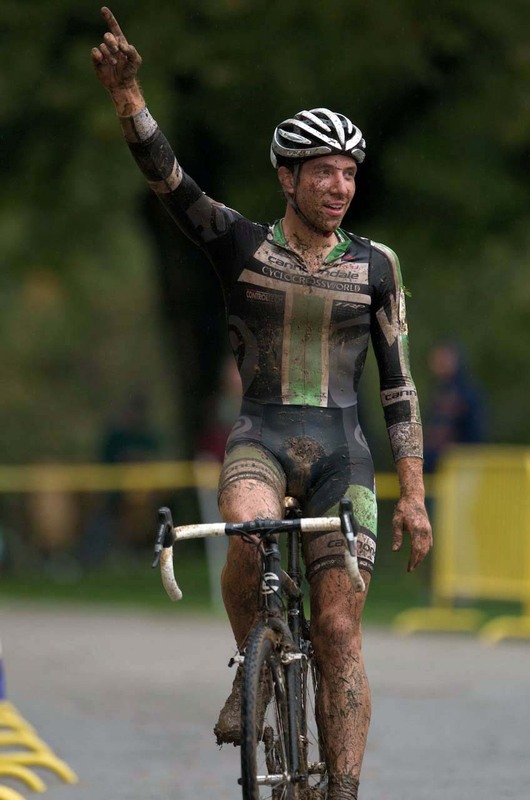 Now in his second year as an Elite, White has been with the program for six years and just had the best season of his cyclocross career, winning Pan-Ams and finished second at Elite Nationals. Curtis followed in the footsteps of his sister Emma, who was with the team from 2012 through the end of the 2017/18 season. Their younger brother Harrison now rides for the Development team. Although he is only in his fourth season, Thorne sees a unique role for three-time national champion Stephen Hyde. The newcomer is Spencer Petrov, who was presented with the perfect opportunity when Emma White announced she was leaving cyclocross to focus on making the Olympic Track team. Petrov needed a team, the team needed a talented young rider. 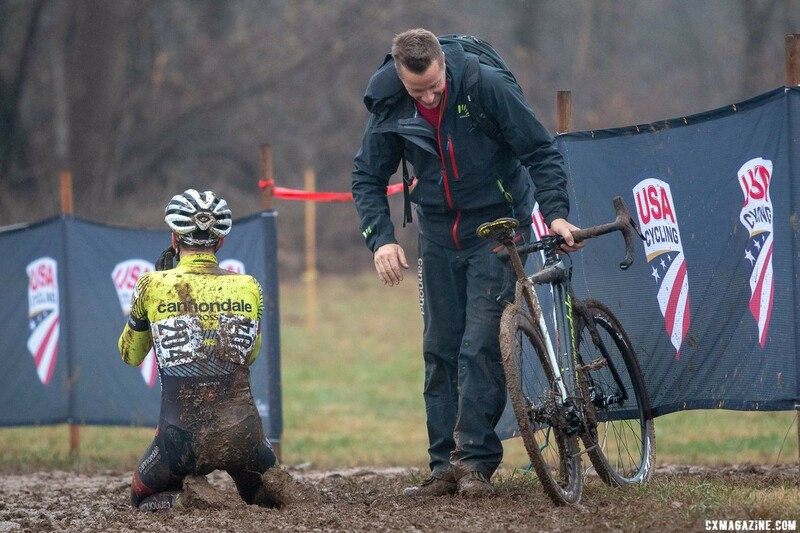 The Cannondale p/b CyclocrossWorld Elite team is not the only work the program is doing to support U.S. cyclocross. The program also supports a seven-rider Development program for Juniors and U23 riders. The Development program started in 2011, and since then, it has been home to an impressive group of talented young riders. The idea for a development program started with Chandler Delinks, one of the Masters racers who still works with the Devo program as a coach. From the original idea, the Devo program has grown to become an integral part of the team’s mission. Thorne and his team have chosen to invest in the program, but to support seven young riders, he also needed a lot of equipment. At least 14 more bikes, countless components and any number of tires. The team also needed the sponsors to buy in. Although Delinks was the original force behind the Devo team, the person who keeps it running today is Thorne’s “right-hand man” Mike Berry. 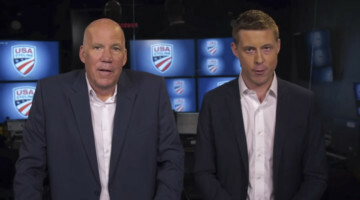 Berry, who some readers may be familiar with from his Ask the Mechanics contributions, came aboard the program about five years ago, even though he has known Thorne for decades. 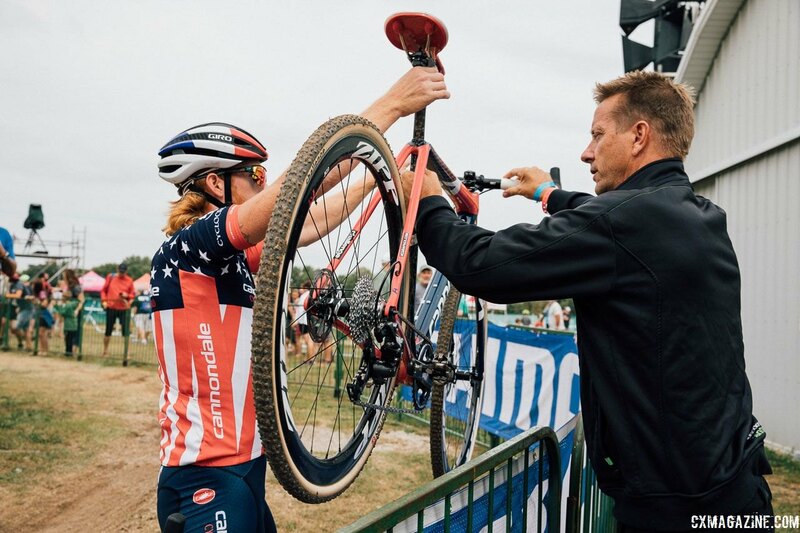 As a mechanic, Berry is responsible for still gluing all the tubulars and maintaining the bikes as well as organizing to get athletes from across the United States to race weekends throughout the fall. Not only does the work help Berry get some money during the road offseason, it also gives him something much more important. The program’s Devo team is a way of investing in the sport. With only four pro spots on his team—ones that rarely open up—he knows that most Devo riders’ futures will be elsewhere. 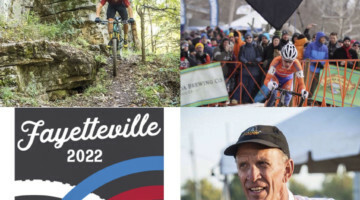 If building a successful cyclocross program in the U.S. were easy, we would likely see several Cannondale p/b CyclocrossWorlds supporting riders on the national landscape right now. There have been other big teams in the past decade—Rapha-Focus, Aspire Racing, Raleigh-Clement—but the Cannondale team is the one that is still going strong. One thing that has certainly helped the program is stable sponsors. 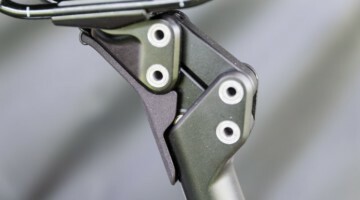 Cannondale and SRAM were with the program when it started and continue to be involved to this day. The team’s sponsors help make sure riders are equipped for each season. 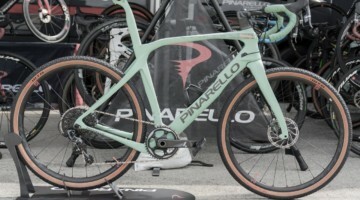 Each pro rider gets six bikes from Cannondale each year—we looked at Hyde’s full collection at the beginning of the season—as well as kits, helmets, shoes, wheels and other gear from Giro, Castelli and other sponsors. Each Devo rider gets two bikes and access to wheels each season they are with the program. 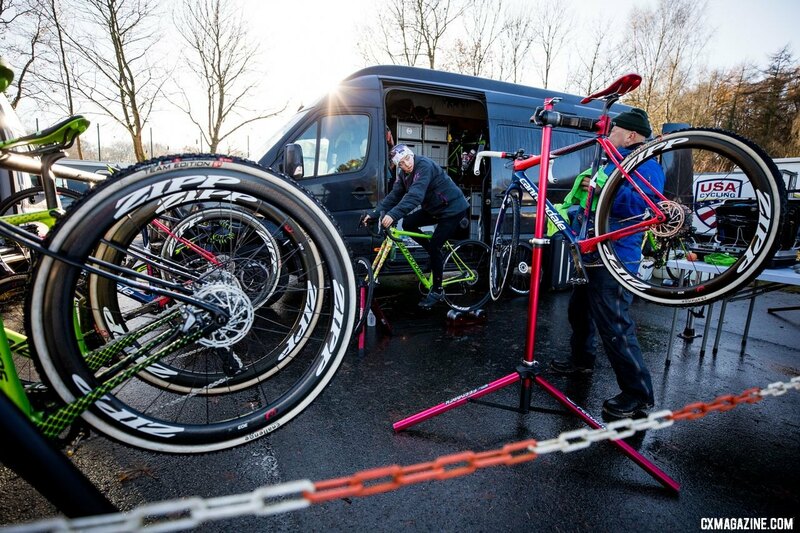 Bikes and equipment cover part of the needs for supporting a cyclocross team. There is also the money investment required to pay riders and staff and cover the cost of traveling to race weekends. We asked about the team’s operating budget for the pro and Devo teams, but Thorne declined to comment on the specifics of his sponsorship agreements. 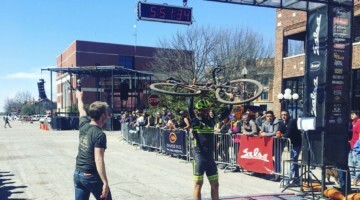 Some back of the envelope math shows that the cost of running a domestic cyclocross team is certainly not inconsequential for the niche sport within a niche sport. 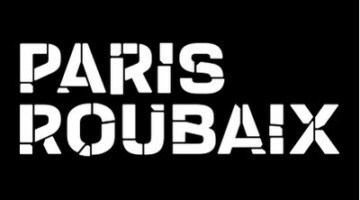 It is not WorldTour expensive, but it still costs money. Traveling to races across the U.S. and for some, in Europe, is not cheap. 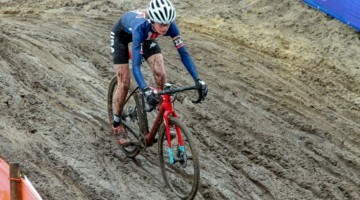 Last year, Helen Wyman estimated a cost of a minimum of $30,000 to support a cyclocross rider for a season. That’s just for support, the Elites also get a salary to live on. The team format likely brings some economy of scale, but taking that number as an estimate of the cost to support one pro rider and multiplying it by four, the cost is already well above $100,000. Added to that is the cost of traveling and lodging for members of the Devo team, the staff and other operating costs. 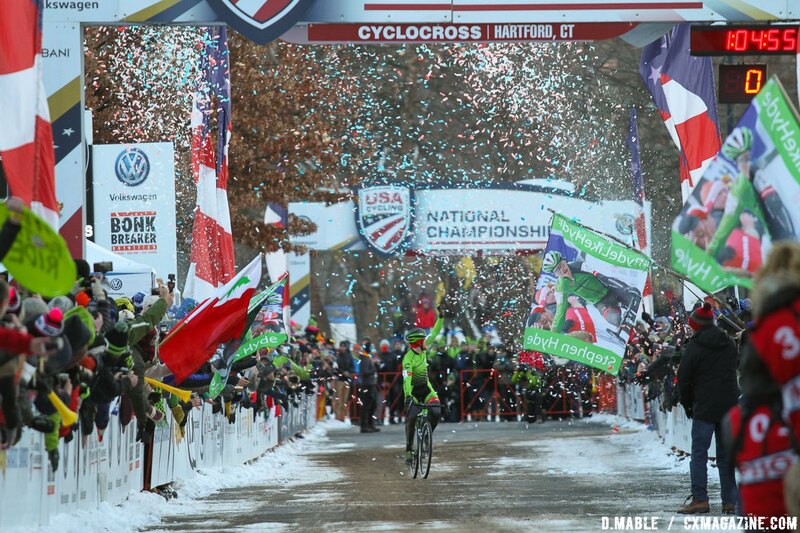 So what does it take to build a successful U.S. cyclocross program? Money for sure helps, as do strong partnerships with sponsors. Both are tough to find, and even if he does not have the secret, Thorne and his team have found a way to make it work. He also talked about the opportunities only teams can really provide to riders who want to commit to cyclocross. 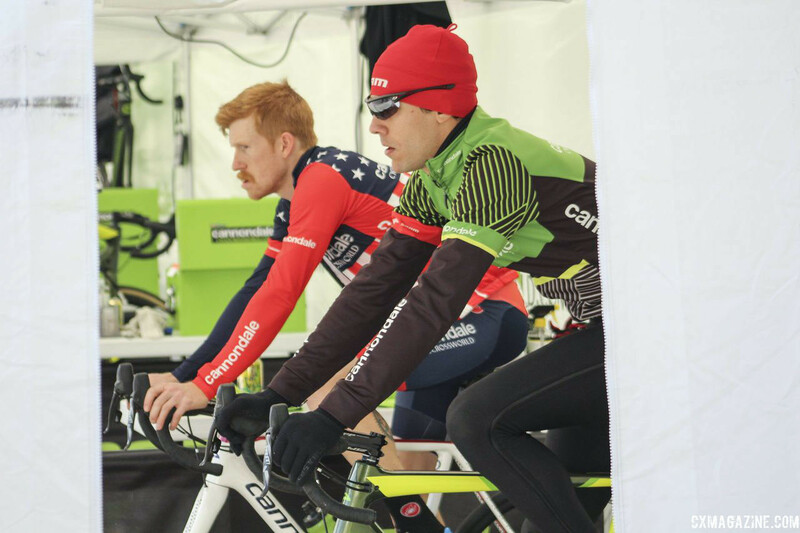 Stop by the Cannondale p/b CyclocrossWorld tent on race day, and you are likely to find a bevy of activity as racers from Juniors through Elites and even some Masters racers put their game faces on for their races. 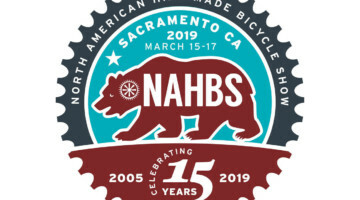 The team is no doubt completely professional come game time, but stop by when the pressure of racing is a little less and you will find a welcoming atmosphere—and probably Mike Berry gluing tubulars. That welcoming atmosphere is an essential part of Thorne’s vision for the team. The attitude starts at the top. Despite his status on the U.S. cyclocross landscape, Thorne is a relatively hands-off team director. 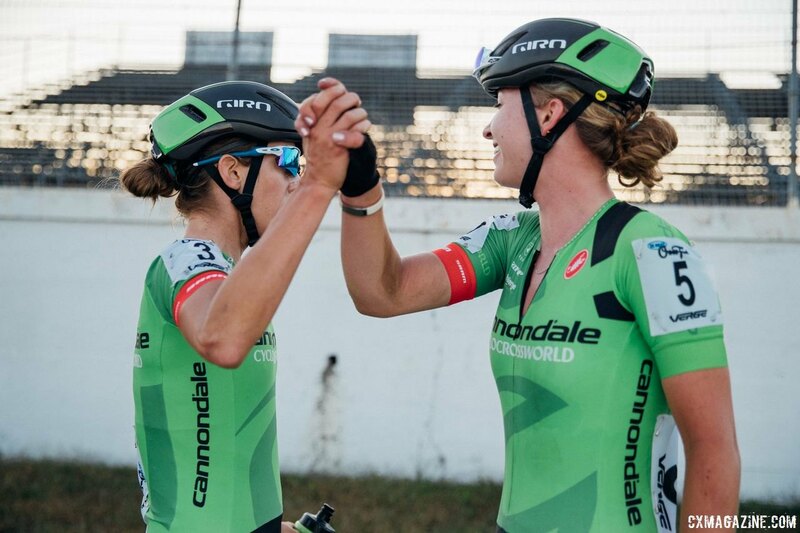 Although being an excellent cyclocross racer is a prerequisite to be considered for the Cannondale p/b CyclocrossWorld program, Thorne also considers how an athlete could contribute to the team vibe when evaluating talent. “I want to be fair and equitable for everybody, but at the same time I want results and a rider who isn’t going to upset the apple cart inside the trailer,” he said. 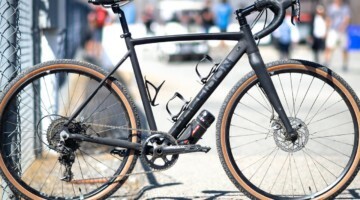 First off, the Cannondale p/b CyclocrossWorld stands to be around U.S. cyclocross for the foreseeable future. 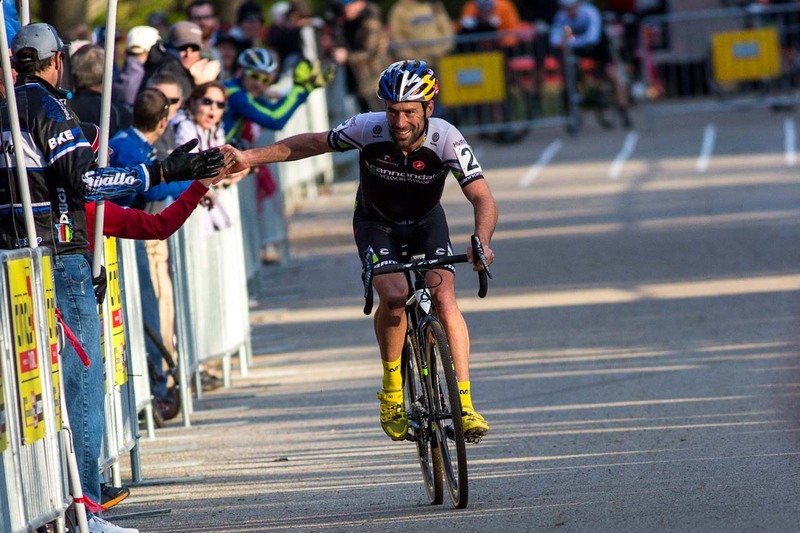 Thorne and his team have built the most successful, longest-lasting program in U.S. cyclocross. Saying the team has conquered U.S. cyclocross would be a bit off, but the team’s committed riders have accomplished a lot at the domestic level. Right now, Keough and Hyde are in the primes of their careers, and so perhaps not surprisingly, Thorne has given a decent amount of thought to having them race in Belgium for an entire season. “I’m not saying we’re going to do this, but it’s been tossed out there, you look at Kaitie and Stephen and if I could put them in Europe for the better part of the season, I would do that,” Thorne said. 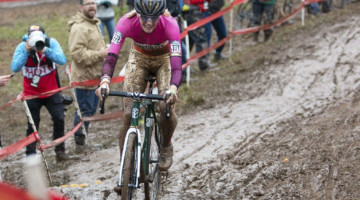 With her win at Jingle Cross this year and second in the World Cup overall lst year Keough has proven she can be competitive in Europe, and as Thorne said, Hyde has been knocking at the door, finishing just outside the top 10 at Namur and Heusden-Zolder last season. In looking at the situation, Thorne highlighted some of the benefits he thinks racing in Europe could provide. During the past two seasons, Katie Compton has shown the viability of this model for athletes who can compete at the front of the races. Thorne has noticed her success. Another reason Thorne is looking at Europe? Traveling in the U.S. is expensive! With most Belgian cyclocross races located in Flanders at most a few hours from one another, supporting his riders in Europe would be much easier than repeatedly flying them across the ocean to race World Cups before returning back to the U.S. When I turned my recorder off, Thorne continued to shared stories of Tim Johnson, Lyne Bassette and him traveling across Europe in a rented van to race cyclocross in the 1990s. 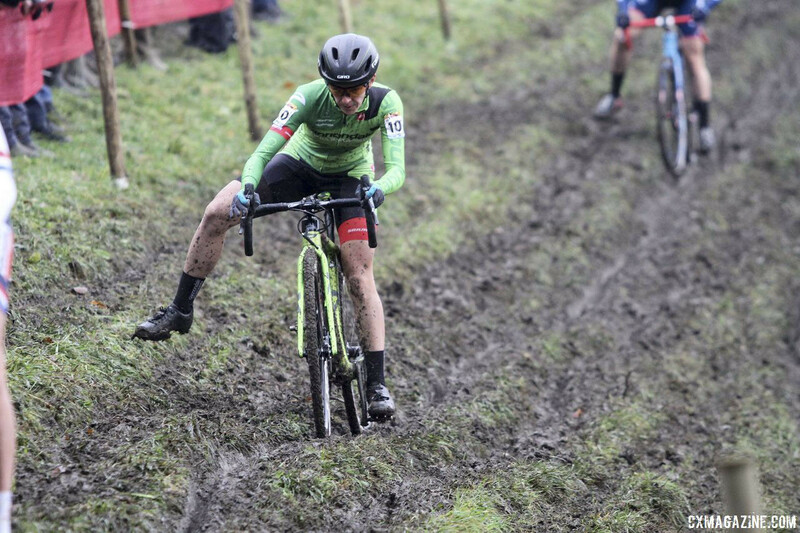 If Cannondale p/b CyclocrossWorld does choose to run a European program, Thorne is hoping for a bit more stability than those much more adventurous days. Will Europe happen? That remains to be seen. 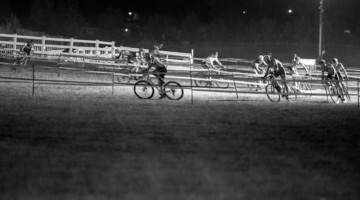 What is certain is that Stu Thorne and his team have built something special within U.S. cyclocross. The combination of his team, sponsors and the athletes show the benefits large teams can provide for developing and getting the most out of cyclocross talent. 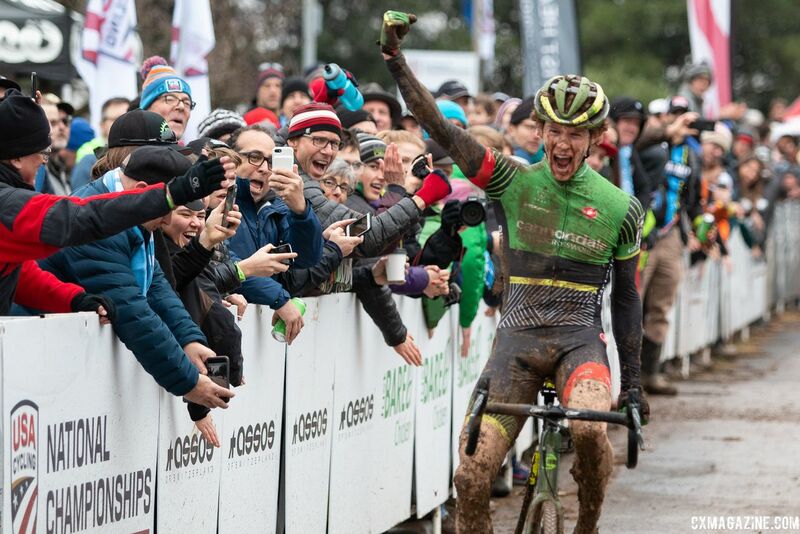 It would be great is U.S. cyclocross had five more teams exactly like Cannondale p/b CyclocrossWorld, but for now, it serves as a lesson of the factors that need to come together to build a successful program.